Safari enchants the whole family. Imagine the thrill of seeing a huge elephant herd. Now imagine how it must feel if you're seeing the same intimate scene through a child's eyes. We don't see it just as your family going on a traditional safari. Instead, we like to personally handcraft every holiday so it excites every generation. We know some excellent camps that run tailored children's activities, such as bush survival or identifying and tracking animals. This takes place as you're enjoying some downtime during the middle of the day, either side of some thrilling safari exploration. We have plenty of family friendly lodges and camps. For family safaris, private concessions and private game reserves provide an ideal base. The accommodation is intimate, yet expansive enough for your family to have their own space. Varied game viewing activities help keep the experience fresh. 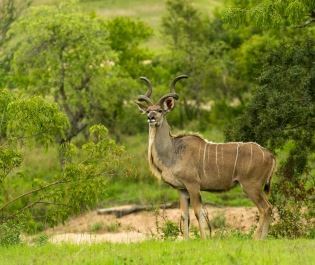 Wildlife is found close to the camp so you don't need long bumpy game drives to get the best of safari. So much of the experience is an adventure. Shining a torch for wildlife, visiting a hide to get a zebra close up, waking up to an elephant in the river below, or watching a traditional tribal dance at the camp. We'd advise against lengthy overland safaris as the bumpy journeys between camps aren't that appealing for children. Instead, consider three night stays at different destinations. Our passion for Africa helps us recommend places that neatly complement each other and allow many ways for children to safely encounter wildlife. Southern Africa's malaria-free reserves are an obvious choice for families with younger children. In particular, South Africa's private reserves are really easy with kids, while Botswana's camps offer an exhilaratingly wild experience. 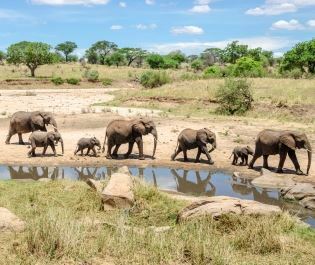 Yet each of Africa's major safari countries has a sophisticated tourism industry that caters well for families, so we can connect you with unique experiences across the whole continent. A trip to Africa isn't just about safari. 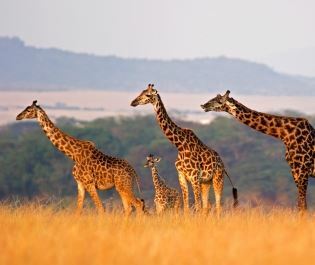 Escape to the beach after exploring the savannah, add in some educational cultural activities, and it's easy to see why many families return to Africa year on year. Let us know what you're looking for and our knowledge of Africa will do the rest.